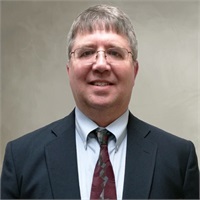 Mr. Randall has over twenty-five years experience working with business and individual accounting and tax clients. In addition, he has over seven years experience advising on investments, life insurance and long term care insurance. George is a graduate of Kent State University and received his BA in Accounting and his MBA from Cleveland State University. He is licensed to sell life and health insurance, Medicare supplement plans as well as annuities in the State of Ohio. George is an Investment Company Representative/Variable Contracts Representative (Series 6), a General Securities Registered Representative (Series 7), a Uniform Securities Agent (Series 63), and an Investment Adviser Representative (Series 65) through Cetera Advisor Networks LLC, a registered broker/dealer, member FINRA, SIPC, and a registered investment adviser. He is also an Investment Adviser Representative of Financial Management Strategies, Inc., a registered investment adviser. George and his wife, Elenora, reside in Hiram and are raising five daughters. He enjoys golfing, bowling and playing pool when time allows.